Day 2: Munnar Sightseeing. Overnight stay @ Munnar. Today after breakfast we proceed to explore Munnar! 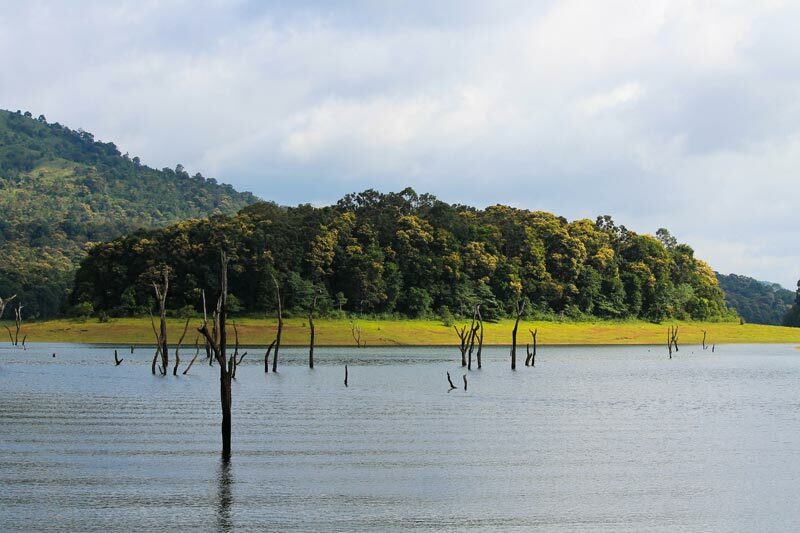 The sightseeing takes you to Matupetty Dam, a beautiful spot for viewing the picturesque Munnar, Kundala Lake – a natural lake with recreational facilities like boating and having excellent view of Western Ghats as well as the surrounding forest. 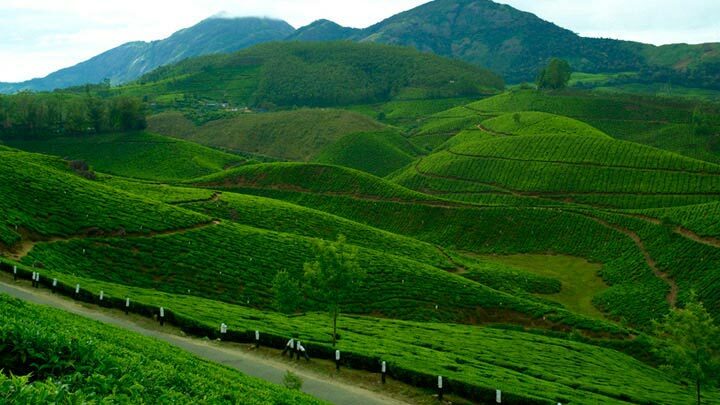 You shall also visit Eco point pass through the picturesque tea plantations. There are many other optional activities like visiting tea factory, jeep rides, elephant rides which you may indulge in. 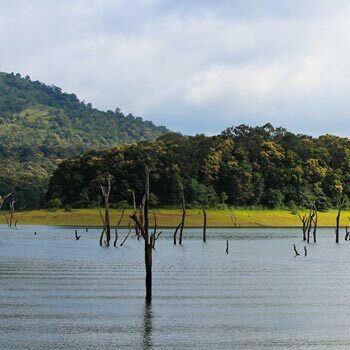 After noon you may optionally opt to visit Eravikulam National park where the endangered Nilgiri Tahr is conserved (park is generally closed for visitors from February to early April due to the calving season). 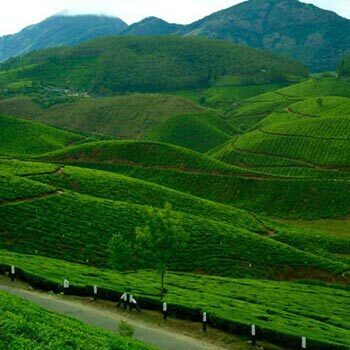 Alternatively, you may prefer to stay back at your hotel / resort and savour the ambience of Munnar. 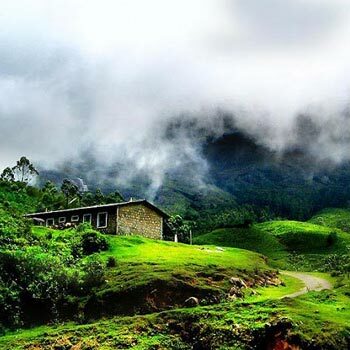 Overnight stay would be in Munnar. Post breakfast; proceed towards Allapuzha to board the traditional Kerala Houseboat for an overnight stay. 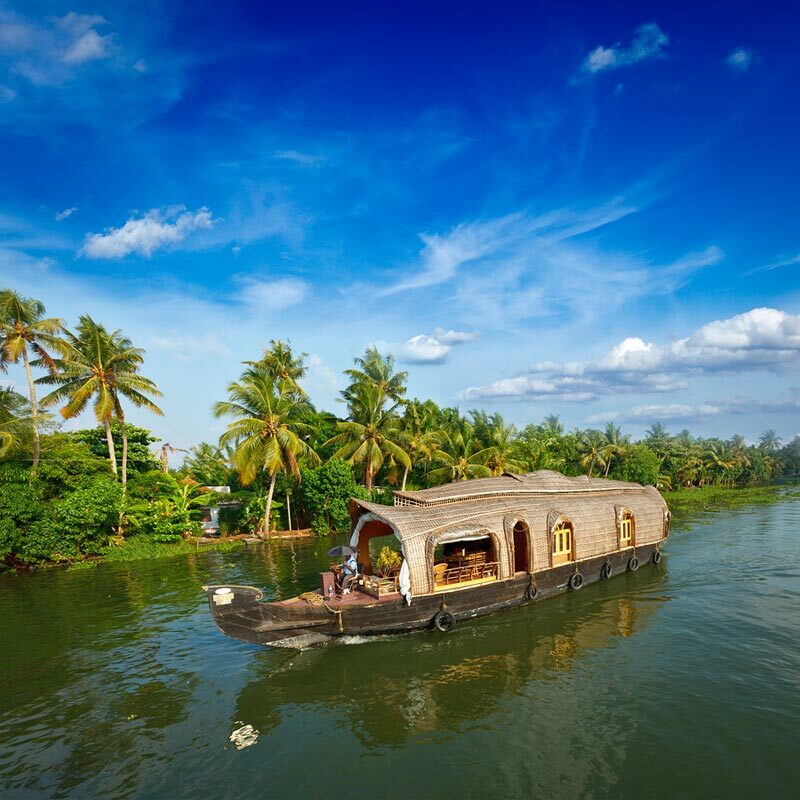 What is truly magical about a houseboat ride is the breathtaking view of the untouched and otherwise inaccessible rural Kerala that it offers, while you float through the backwaters which consist of a complex network of brackish lagoons, lovely lakes and canals. Now, wouldn't that be something? 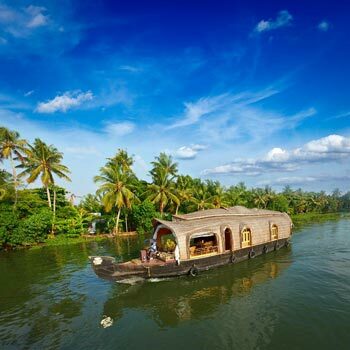 You would check in the house boat by noon to explore the back waters and its serene beauty. Enjoy the ride; delicious cuisines and an overnight stay with all meals (Lunch, Dinner, Evening Tea with snacks, Breakfast) served onboard. 	In Deluxe category Houseboat, A/C will be operational from 9:00 P.M. to 6:00 A.M. In Premium & Luxury categories AC will be available from check in to check out. 	As per Government directions houseboats are not allowed to cruise after evening. 	The standard menu in HB is non-veg. Please confirm by mail in case your meal preference is different or in case of any other special requirements. Day 5: Transfer Alappuzha to Cochin (70 KM / 1.30 Hr). Departure from Cochin. After breakfast check out of the houseboat (around 9 AM) and proceed towards Cochin. Depending upon your time of departure, you can go for sightseeing of Fort Cochin which has a rich heritage and strong historical relationship with English, Portuguese, Dutch, Arabs, and Chinese etc. Visit the Dutch Palace, Asia’s best preserved Synagogue, Marin Drive, Chinese fishing nets and the traditional spice market of Cochin. Balance time could be well spent @ LuLu Mall one of the largest mall in India (located on the way to the airport). Spanning 17 acres with a total retail floor area of 1.7 million square feet and containing more than 215 outlets including food courts, restaurants, family entertainment zones etc. This is an ideal place for engaging in souvenir shopping. Later, you shall be dropped at the airport / railway station according to the time of your flight / train. Note: above sightseeing is dependent on your departure time from Cochin. Check hotel reviews before confirmation. Subsequent changes may involve cancellation charges. This is a quotation and not a booking confirmation. Rooms shall be blocked only upon receipt of advance payment. Rates may vary on account of surge pricing during Dusserah, Diwali, Christmas, Onam & New Year periods. Payments can be made by NEFT / IMPS / Deposit in favour of: “Vacation N Holiday Pvt. Ltd”. 60 days or more prior to arrival - 10% of the total package amount. 59 days to 30 days prior to arrival - 20% of the total package amount. 29 days to 15 days prior to arrival - 50% of the total package amount. 14 days & less or no show - No refund. # No refund in case travel overlaps with peak season (15 Dec to 15 Jan).